Kevin Kelly wrote the following essay for Science Magazine's "Essays on Science and Society", in celebration of the 150th anniversary of that publication. The second essay in the series (following "The Great Asymmetry" by Stephen Jay Gould), it appeared in the Volume 279, Number 5353 Issue of 13 February 1998, pp. 992 - 993 of Science and it is also available on the Science Online website. It is published here for the third culture mail list by permission of the author. 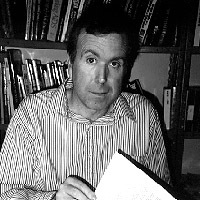 KEVIN KELLY is the executive editor of Wired and author of Out of Control: The New Biology of Machines, Social Systems and the Economic World. "Science" is a lofty term. The word suggests a process of uncommon rationality, inspired observation, and near-saintly tolerance for failure. More often than not, that's what we get from science. The term "science" also entails people aiming high. Science has traditionally accepted the smartest students, the most committed and self-sacrificing researchers, and the cleanest money-that is, money with the fewest political strings attached. In both theory and practice, science in this century has been perceived as a noble endeavor. Yet science has always been a bit outside society's inner circle. The cultural center of Western civilization has pivoted around the arts, with science orbiting at a safe distance. When we say "culture," we think of books, music, or painting. Since 1937 the United States has anointed a national poet laureate but never a scientist laureate. Popular opinion has held that our era will be remembered for great art, such as jazz. Therefore, musicians are esteemed. Novelists are hip. Film directors are cool. Scientists, on the other hand, are ...nerds. How ironic, then, that while science sat in the cultural backseat, its steady output of wonderful products-radio, TV, and computer chips-furiously bred a pop culture based on the arts. The more science succeeded in creating an intensely mediated environment, the more it receded culturally. The only reason to drag up this old rivalry between the two cultures is that recently something surprising happened: A third culture emerged. It's hard to pinpoint exactly when it happened, but it's clear that computers had a lot to do with it. What's not clear yet is what this new culture means to the original two. This new third culture is an offspring of science. It's a pop culture based in technology, for technology. Call it nerd culture. For the last two decades, as technology supersaturated our cultural environment, the gravity of technology simply became too hard to ignore. For this current generation of Nintendo kids, their technology is their culture. When they reached the point (as every generation of youth does) of creating the current fads, the next funny thing happened: Nerds became cool. Nerds now grace the cover of Time and Newsweek. They are heroes in movies and Man of the Year. Indeed, more people wanna be Bill Gates than wanna be Bill Clinton. Publishers have discovered that cool nerds and cool science can sell magazines to a jaded and weary audience. Sometimes it seems as if technology itself is the star, as it is in many special-effects movies. There's jargon, too. Cultural centers radiate new language; technology is a supernova of slang and idioms swelling the English language. Nerds have contributed so many new words-most originating in science-that dictionaries can't track them fast enough. This cultural realignment is more than the wisp of fashion, and it is more than a mere celebration of engineering. How is it different? The purpose of science is to pursue the truth of the universe. Likewise, the aim of the arts is to express the human condition. (Yes, there's plenty of overlap.) Nerd culture strays from both of these. While nerd culture deeply honors the rigor of the scientific method, its thrust is not pursuing truth, but pursuing novelty. "New," "improved," "different" are key attributes for this technological culture. At the same time, while nerd culture acknowledges the starting point of the human condition, its hope is not expression, but experience. For the new culture, a trip into virtual reality is far more significant than remembering Proust. Outlined in the same broad strokes, we can say that the purpose of nerdism, then, is to create novelties as a means to truth and experience. In the third culture, the way to settle the question of how the mind works is to build a working mind. Scientists would measure and test a mind; artists would contemplate and abstract it. Nerds would manufacture one. Creation, rather than creativity, is the preferred mode of action. One would expect to see frenzied, messianic attempts to make stuff, to have creation race ahead of understanding, and this we see already. In the emerging nerd culture a question is framed so that the answer will usually be a new technology. The third culture creates new tools faster than new theories, because tools lead to novel discoveries quicker than theories do. The third culture has little respect for scientific credentials because while credentials may imply greater understanding, they don't imply greater innovation. The third culture will favor the irrational if it brings options and possibilities, because new experiences trump rational proof. But in an overlooked second edition to the book published in 1964, he introduced the notion of a "third culture." Snow imagined a culture where literary intellectuals conversed directly with scientists. This never really happened. John Brockman, a literary agent to many bright scientists, resurrected and amended Snow's term. Brockman's third culture meant a streetwise science culture, one where working scientists communicated directly with lay people, and the lay challenged them back. This was a peerage culture, a peerage that network technology encouraged. Technology is simply more relevant than footnotes. There are other reasons why technology has seized control of the culture. First, the complexity of off-the-shelf discount computers has reached a point where we can ask interesting questions such as: What is reality? What is life? What is consciousness? and get answers we've never heard before. These questions, of course, are the same ones that natural philosophers and scientists of the first two cultures have been asking for centuries. Nerds get new answers to these ancient and compelling questions not by rehashing Plato or by carefully setting up controlled experiments but by trying to create an artificial reality, an artificial life, an artificial consciousness-and then plunging themselves into it. Despite the cartoon rendition I've just sketched, the nerd way is a third way of doing science. Classical science is a conversation between theory and experiment. A scientist can start at either end-with theory or experiment-but progress usually demands the union of both a theory to make sense of the experiments and data to verify the theory. Technological novelties such as computer models are neither here nor there. A really good dynamic computer model-of the global atmosphere, for example-is like a theory that throws off data, or data with a built-in theory. It's easy to see why such technological worlds are regarded with such wariness by science-they seem corrupted coming and going. But in fact, these models yield a third kind of truth, an experiential synthesis-a parallel existence, so to speak. A few years ago when Tom Ray, a biologist turned nerd, created a digital habitat in a small computer and then loosed simple digital organisms in it to procreate, mutate, and evolve, he was no longer merely modeling evolution or collecting data. Instead, Ray had created a wholly new and novel example of real evolution. That's nerd science. As models and networked simulations take on further complexity and presence, their role in science will likewise expand and the influence of their nerd creators increase. Not the least because technological novelty is readily accessible to everyone. Any motivated 19-year-old can buy a PC that is fast enough to create something we have not seen before. The nerds who lovingly rendered the virtual dinosaurs in the movie Jurassic Park, by creating a complete muscle-clad skeleton moving beneath virtual skin, discovered a few things about dinosaur locomotion and visualized dinosaurs in motion in a way no paleontologist had done before. It is this easy, noncertified expertise and the unbelievably cheap access to increasingly powerful technology that is also driving nerd science. Thomas Edison, the founder of Science magazine, was a nerd if ever there was one. Edison-lacking any formal degree, hankering to make his own tools, and possessing a "just do it" attitude-fits the profile of a nerd. Edison held brave, if not cranky, theories, yet nothing was as valuable to him as a working "demo" of an invention. He commonly stayed up all night to hack together contraptions, powered by grand entrepreneurial visions (another hallmark of nerds), yet he didn't shirk from doing systematic scientific research. One feels certain that Edison would have been at home with computers and the Web and all the other techno-paraphernalia now crowding the labs of science. Techno-culture is not just an American phenomenon, either. The third culture is as international as science. As large numbers of the world's population move into the global middle class, they share the ingredients needed for the third culture: science in schools; access to cheap, hi-tech goods; media saturation; and most important, familiarity with other nerds and nerd culture. I've met Polish nerds, Indian nerds, Norwegian nerds, and Brazilian nerds. Not one of them would have thought of themselves as "scientists." Yet each of them was actively engaged in the systematic discovery of our universe. As nerds flourish, science may still not get the respect it deserves. But clearly, classical science will have to thrive in order for the third culture to thrive, since technology is so derivative of the scientific process. The question I would like to posit is: If the culture of technology should dominate our era, how do we pay attention to science? For although science may feed technology, technology is steadily changing how we do science, how we think of science, and what it means to be a scientist. Tools have always done this, but in the last few decades our tools have taken over. The status of the technologist is ascending because for now, and for the foreseeable future, we have more to learn from making new tools than we do from making new concepts or new measurements. As the eminent physicist Freeman Dyson points out, "The effect of concept-driven revolution is to explain old things in new ways. The effect of tool-driven revolution is to discover new things that have to be explained" (p. 50 ).3 We are solidly in the tool-making era of endlessly creating new things to explain. While science and art generate truth and beauty, technology generates opportunities: new things to explain; new ways of expression; new media of communications; and, if we are honest, new forms of destruction. Indeed, raw opportunity may be the only thing of lasting value that technology provides us. It's not going to solve our social ills, or bring meaning to our lives. For those, we need the other two cultures. What it does bring us-and this is sufficient-are possibilities. Technology now has its own culture, the third culture, the possibility culture, the culture of nerds-a culture that is starting to go global and mainstream simultaneously. The culture of science, so long in the shadow of the culture of art, now has another orientation to contend with, one grown from its own rib. It remains to be seen how the lofty, noble endeavor of science deals with the rogue vernacular of technology, but for the moment, the nerds of the third culture are rising. 1. C. P. Snow, The Two Cultures and the Scientific Revolution (Cambridge Univ. Press, New York, 1959). 2. J. Brockman, The Third Culture (1996). Available at www.edge.org/3rd_culture/index.html.